Randie studied at the Lyme Academy of Fine Art in the early 1980’s, then went on to receive a BFA and a BARCH from Rhode Island School of Design. She was a practicing architect in MA and is now retired. 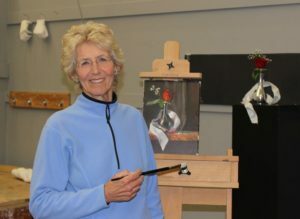 Recently, she has been studying the mastery of light in still life work with David Leffel in New Mexico.